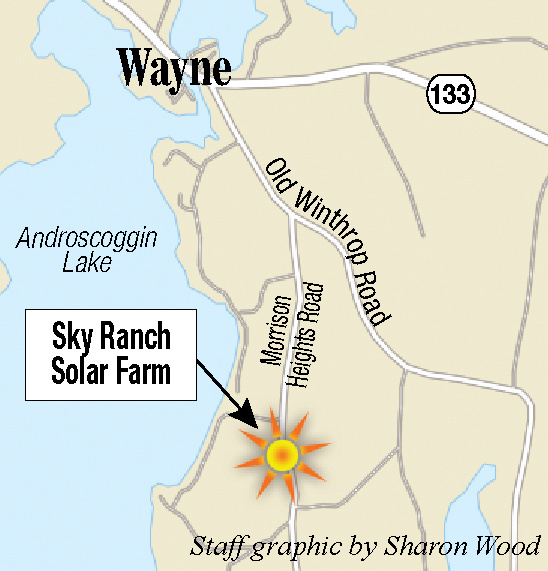 The owners of a solar farm say the town had assessed the array at higher than its actual worth. A group of Maine residents who built a solar farm two years ago in Wayne have settled a dispute with the town over how much their project is worth, reducing the taxes they’ll owe on the investment and avoiding further legal costs for both sides. As more Mainers consider building solar arrays, the settlement also could serve as a precedent for other communities that are trying to determine their value, according to Kristin Collins, an attorney for the owners of the Wayne farm. 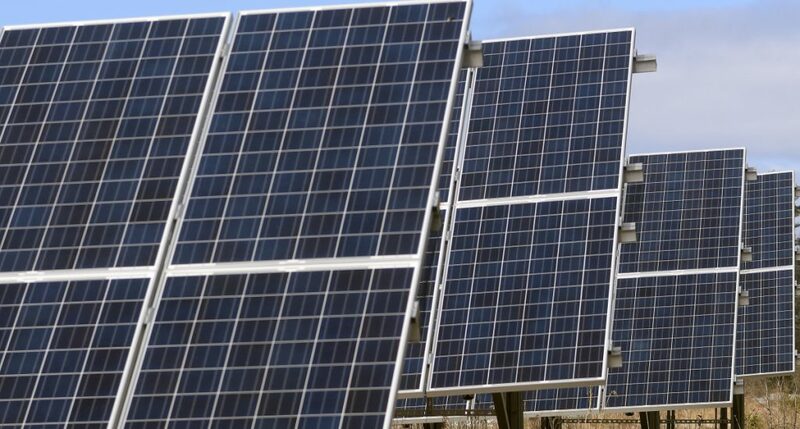 Meanwhile, both Collins and a Wayne official said state lawmakers might need to consider legislative changes if they want to encourage future solar development and give local governments the ability to determine its value accurately. When the Wayne project went online in 2016, it was one of the state’s first community solar farms. Rather than producing solar electricity at their homes, the nine families who bought into the farm live in different parts of the state and receive a credit on their power bills for what’s generated at the Wayne site. But when the families received their first property tax bills, they thought they were too high and didn’t reflect accurately the value of their investment. So they requested a tax abatement from Wayne, but the town denied their initial request. Early this month, they were scheduled to appeal that denial to the Kennebec County commissioners. Before that appeal could be heard, though, the owners of the solar farm reached a settlement with Wayne that lowered the total valuation of their property and hastened its rate of depreciation. The farm’s originally assessed value of about $140,000 was adjusted to $105,000, according to a copy of the settlement provided by Aaron Chrostowsky, Wayne’s town manager. The town has agreed to value the farm at $21,000 by 2024 – 20 percent of the starting value – and to maintain that valuation for the next 11 years. “As far as I’m concerned, I’m satisfied with this particular outcome,” said Rosanne Graef of Portland, one of the solar farm investors. Wayne officials formed their original assessment of the solar farm based on the amount listed on its building permit, but Collins said that number didn’t reflect its value accurately, as it included soft costs such as building and legal fees. The new valuation outlined in the settlement, she argued, relies on a more accurate means of valuing solar equipment that could be instructive to other communities. Collins, a municipal attorney for the firm Preti Flaherty, also represents the owners of solar projects in two other towns, China and York, who are challenging their local tax assessments. In China, the members of a community solar project at 3 Level Farm recently requested a tax abatement, Collins said. In York, a group of residents who have installed solar panels on their roofs are preparing to appeal the town’s rejection of their abatement requests. But Collins, Graef and other advocates for solar development also said they’d prefer that Maine law offered a tax exemption for residential solar projects, or at least allowed individual communities to create those exemptions. About 25 states, along with Washington, D.C., have laws that exempt renewable energy equipment from property taxes, according to a database run by the N.C. Clean Energy Center Technology Center, at the College of Engineering at N.C. State University in North Carolina. Another three, including New Hampshire, have passed laws giving local governments the option to pass exemptions. In New England, Maine is the only state without such an exemption. Another challenge for tax assessors is the scarcity of knowledge about the true value of a solar array, and some advocates say the Legislature should order an analysis of that data. Solar development has picked up in Maine only in the last five years, but it’s still not entirely clear how panels change the value of a property, according to William Healey, chief assessor in Lewiston and the president of the Maine Association of Assessing Officers. While some assessors have told Healey that solar panels have driven up the value of a property, he said, others have reported cases in which a property was sold and the buyer required an existing array to be taken down, suggesting a negative effect. Healey said he hasn’t assessed the solar panels on Lewiston homes because he’s still not sure what value they add, but he does plan to assess a solar array that was installed recently at a local business. To do so, he said, he will study the savings it provided on the owner’s electric bills. Collins noted that the solar market might lag in Maine because, unlike Texas or California, the state does not have the wide tracts of land and blue sky that would seem a natural setting for the industry. But she hopes the recent legal actions in towns such as Wayne and York draw attention to the way that traditional approaches to taxation may discourage future solar investment.